Sometimes I get caught up in conversations where people devalue the use of food as a training tool and then I stop and remind them what I’ve accomplished. 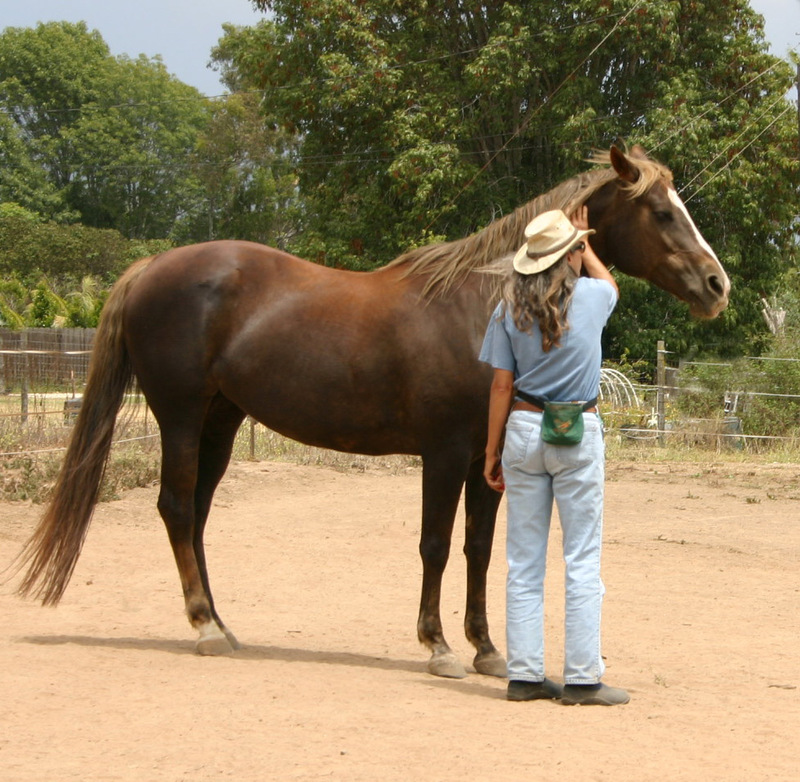 I have worked with many, many horses who were very troubled. Some of them had dangerous behaviors and I could have gotten seriously hurt or killed. When I started with these horses I used protected contact and food, that was it. In every case I eventually ended up with a horse that was safe, cooperative and a joy to be around. Make no mistake, I have no doubt that if the horse was confronted with the kinds of abuse that created the behaviors to begin with, it would have most likely reverted to the behaviors it offered during the initial abuse. Regression is a fact of training life. Then I look at the people who are criticizing me or making fun of my methods and I see them approach dangerous horses with whips, sticks, swinging ropes and round pens where the horse is driven to a point of exhaustion or is running from fright with eyes wide and nostrils flared. That’s when I ask myself who has the better training methods? I would certainly be able to get changes in behavior using all of the same tools they use, but would they be able to get behavior without using those tools? Would they be able to produce changes in a horse if they had to face the horse alone, with food as their only tool. That’s really the big question. I have walked both paths. I would love to see the naysayers take the same journey as I did and approach a horse with food only. 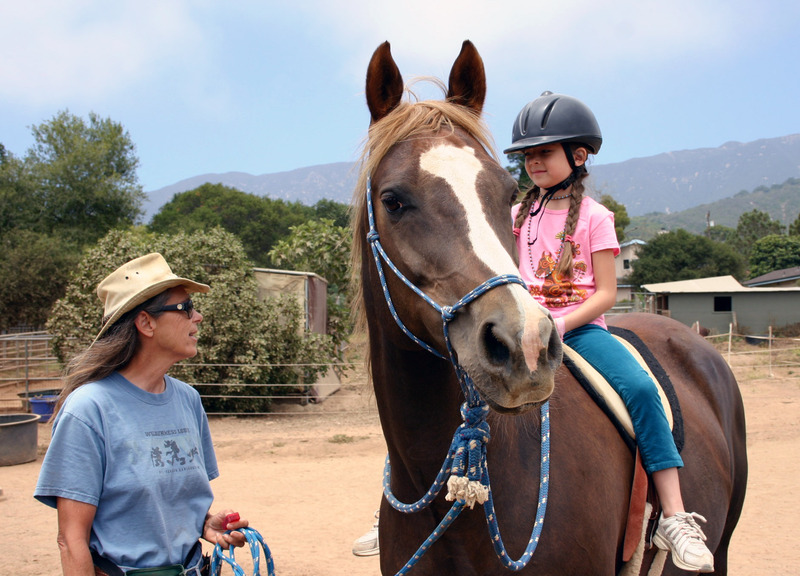 They will learn a lot about horses and behavior if they try that course of action. I will also be far more inclined to listen to their input if they take the time to learn more about training using positive reinforcement. Saying Goodbye and reflecting on the good. I got word that at 7:30 a.m. tomorrow morning they’re going to put down one of my horse friends. He’s a retired jumper and he’s had a severe injury, apparently he keeps falling and has a very difficult time getting up. I’m not going to go into the Rights and Wrongs of his life and the decision to put him down. This is really from my own viewpoint. It’s about me, and I’m sad to lose another horse friend. I met him a little over a year ago. He was a retired jumper and he was leading a fairly sedentary life because of the stresses of jumping on his body. 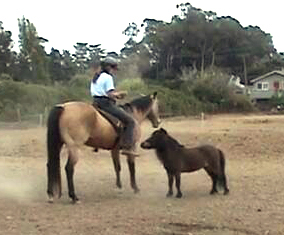 His owner wanted to provide some enrichment and change of pace and she thought clicker training would be a good way to do this. When I arrived I found a horse that was not overly enthusiastic about the presence of humans in his stall. The owner told me that sometimes it was even difficult getting a halter on him. So I began the task of letting him know that I would be a very dependable human and provide him opportunities to earn what he wanted with very little effort on his part. I kept my promise. I started with easy behaviors, in fact sometimes I just clicked him for being a horse. We expanded to include targeting and one of his favorite things of all time was to offer an auto back that we shaped; he was so enthusiastic about offering the backup. We expanded the training to include some targeting, then I combined the halter and the target. I also included some casual touching combined with food reinforcers. This process gave me some interesting information as it became pretty clear that touching was not his favorite thing either. However, that began to change with CHOICE and a change in how touch was offered. Over the course of the year he became more and more receptive to earning reinforcers for activities he thought were worth his effort. I even expanded his repertoire to include putting on the halter. I did not see this horse on a weekly basis but what I can say is that the combinaion of what I did and what the owner followed through with, made this horse begin to blossom in this last year. 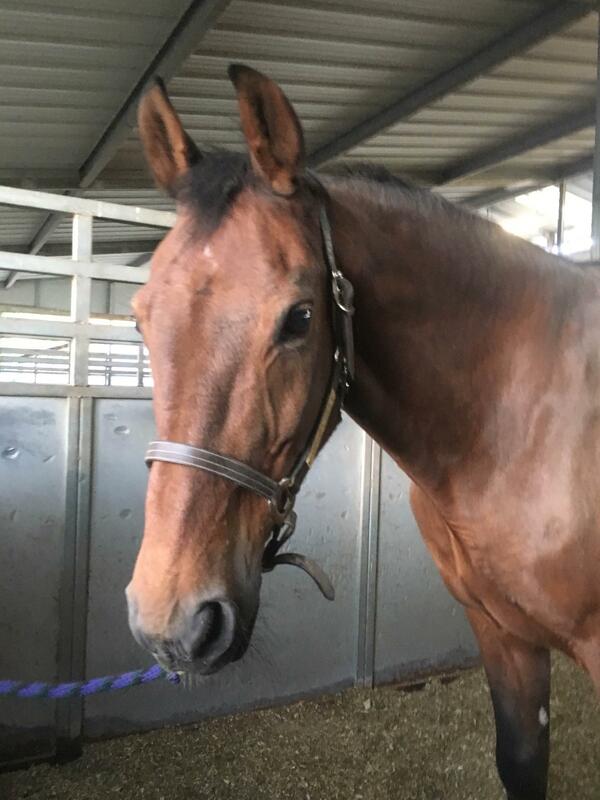 I was more recently privileged to be in his presence to see the change to soft eyes, a calm demeanor and the “Ooh-so-willing-effort” that I’ve grown accustomed to seeing in horses who are clicker trained, as he put his head in the halter and held it very still while the owner buckled the buckle. And added to that, he reached out and wiggled his lip as the owner scratched his neck and fed him a bite of pellets. 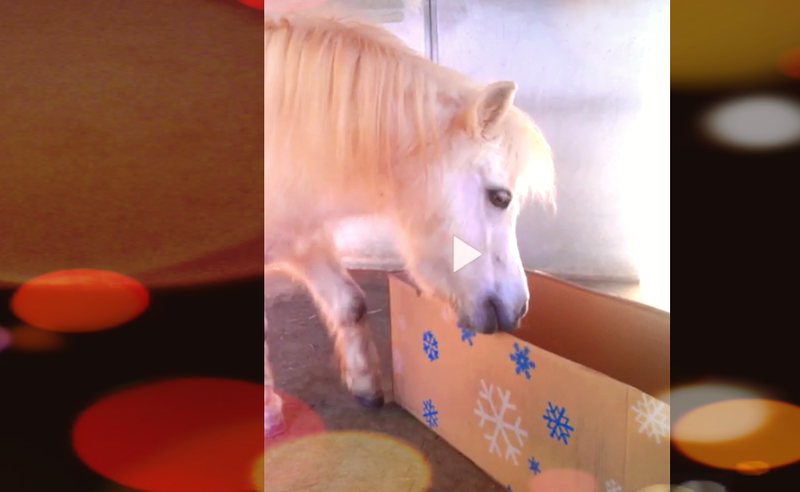 So I spent time with a horse improving elements of his daily life during the last year of his life. I was a part of a process that allowed him to view humans in a different way. More important it empowered him to gain things he wanted as he offered Behavior that was good for the human. Horses are the most amazingly gracious creatures I have had the privilege of knowing. I will miss this horse. And I will miss what I think could have unfolded for him in the following months. But one thing I’m sure of, his quality of life was improved in this last year. Many thanks as you fly over the Rainbow Bridge, my friend. You take a piece of my heart with you.